Losing a loved one can be emotional, and it can take quite some time to recover from the loss of this relationship. But, it’s imperative to take action and speak promptly with an experienced wrongful death attorney if you suddenly lose a loved one in an accident. At such a tragic time, the law will probably be the last thing on your mind. Nevertheless, an investigation must be launched as quickly as possible to determine what happened and where to place blame. If you’ve lost a loved one in a sudden accident, speak at once with the experienced San Francisco illegal decease attorneys at the law firm of Geonetta & Frucht. With more than five decades of combined legal experience, we are the San Francisco wrongful death attorneys that survivors turn to for help with wrongful death cases in the San Francisco Bay Area. In some cases, punitive damages may also be awarded to deter future accidents and negligence that could cause other injuries. Our lawyers will fight tirelessly to ensure you receive the financial settlement you deserve. You have suffered enough–contact a member of our team today for legal advice regarding your case. Our San Francisco wrongful death lawyers represent families who have lost their loved ones in car accidents, bicycle accidents, truck accidents, motorcycle accidents, and other accidents caused by someone’s negligence. Call Geonetta & Frucht today to learn about your right to compensation for the wrongful death of a loved one. We serve clients in the San Francisco Bay Area and throughout northern California. 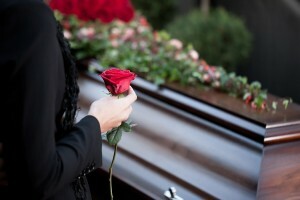 To discuss your wrongful death claim with an experienced San Francisco wrongful death attorney, please contact us by filling out the form on this site or calling our office in San Francisco at 415-433-4589 for an appointment. Your initial consultation with a personal injury lawyer on our team is free.